Kawasaki is a city between Tokyo and Yokohama. 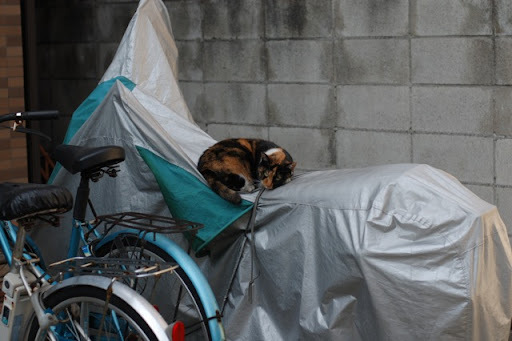 Now, I'm learning to be a volunteer guide and today I went to Kawasaki in a lesson. Some volunteer guides led us around Kawasaki. 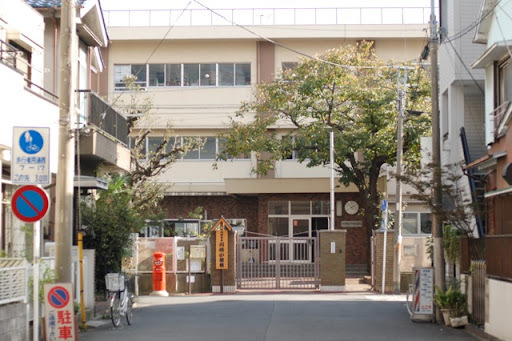 This is a picture of the oldest elementary school in Kawasaki. 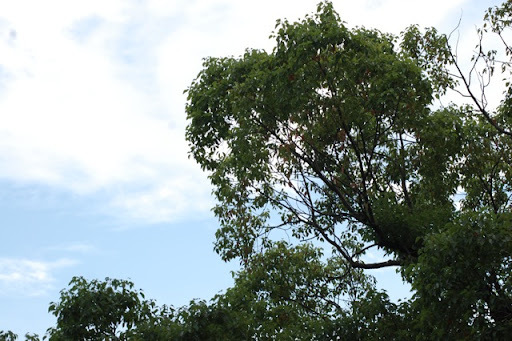 It is more than 100 years old. This is a tiny street of old style bars. 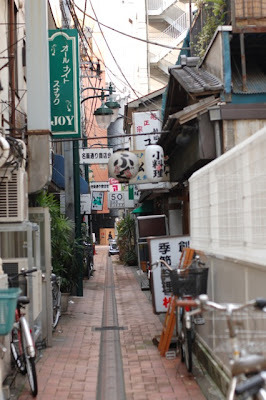 I like this kind of narrow street very much. 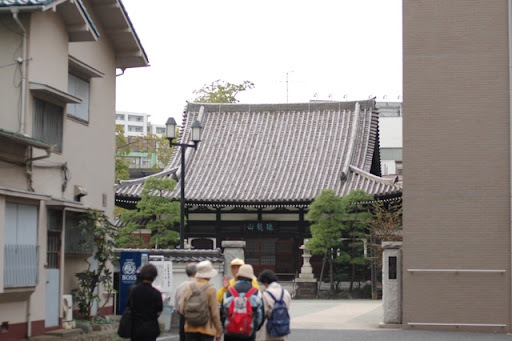 This is a temple near the station. Today we visited some temples to know the history around Kawasaki. This is a small plate in a temple and it teaches us the bond of a couple is most important for a family. 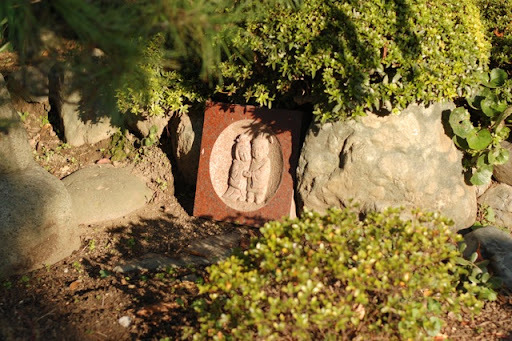 This Buddha is build as an unknown person's grave. 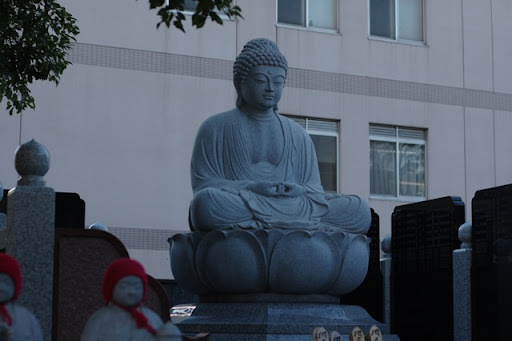 These are guardian deity of children in front of the Buddha. 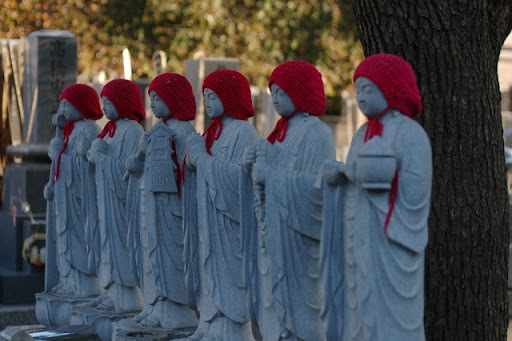 There are lots of these set of 6 statues in Japan, and they are always hooded. 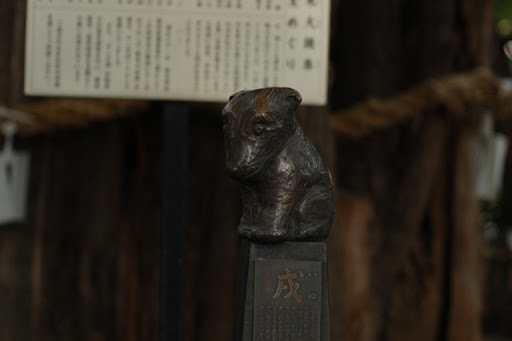 This is a small dog statue in a big Shrine. It's really cute. At last, we arrived at a big river. 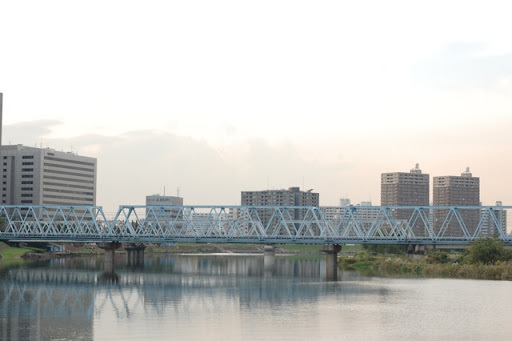 The other side of this river is Tokyo. Today was a best day for walking! 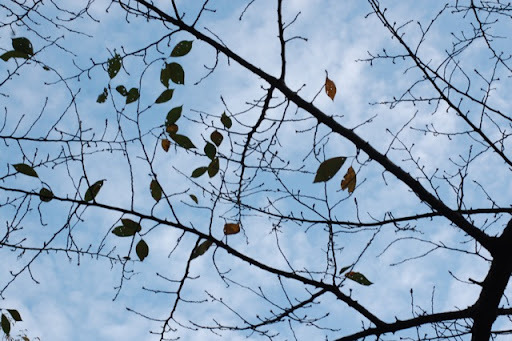 The autumn in Japan is dry and mostly sunny! I like this season very much(Also, it's best season for eating). That small plate in the temple about the bond of Couple is so nice. And guardian deity of children are adorable. Is their hood made of wool?